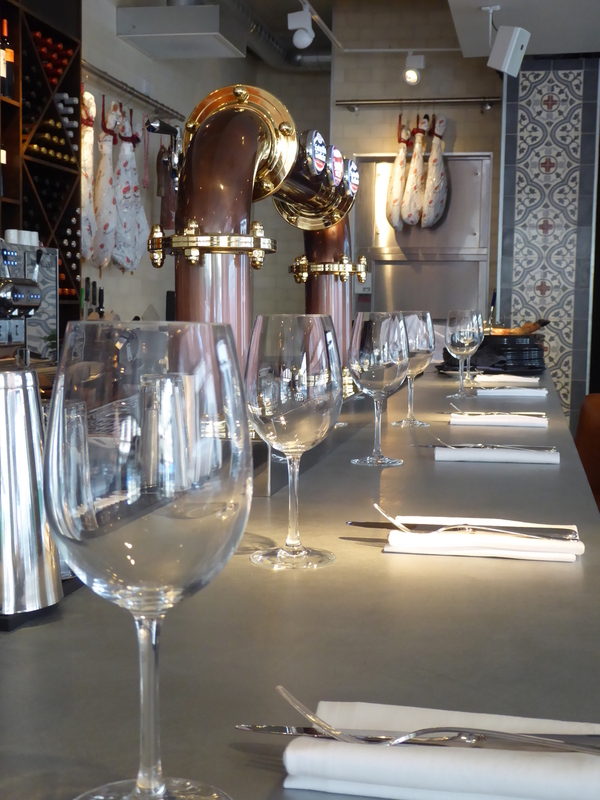 We recently designed the interior of Tapeo and Wine – a new restaurant on 209 Deansgate, Manchester. 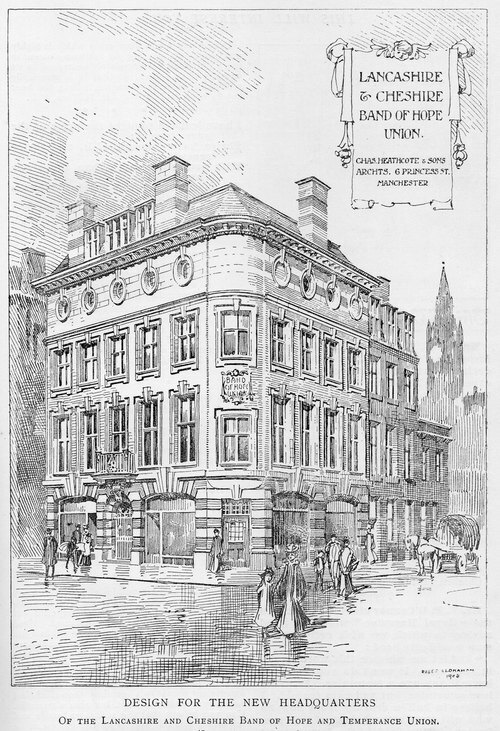 The Lancashire and Cheshire Band of Hope and Temperance Union raised over £15,000 to build their new headquarters in Manchester, the Onward Building. The building was designed by the architect Charles Heathcote, built between 1903 and 1904 and finished in 1905. In 1956 and during the 1980s there were several unsympathetic architectural changes. These included ground floor window changes and a rear extension covering the previous ginnel access to the rear yard. Internally two stairwells were repositioned from basement to ground floor. 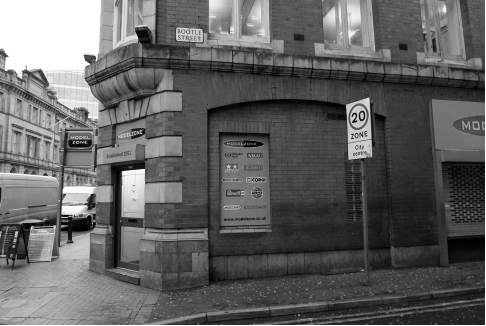 For two decades the 209 address was home to the famous Mancunian establishment, The Model Shop. More recently the building was given a Grade 2 listing and fell within a newly created conservation area. 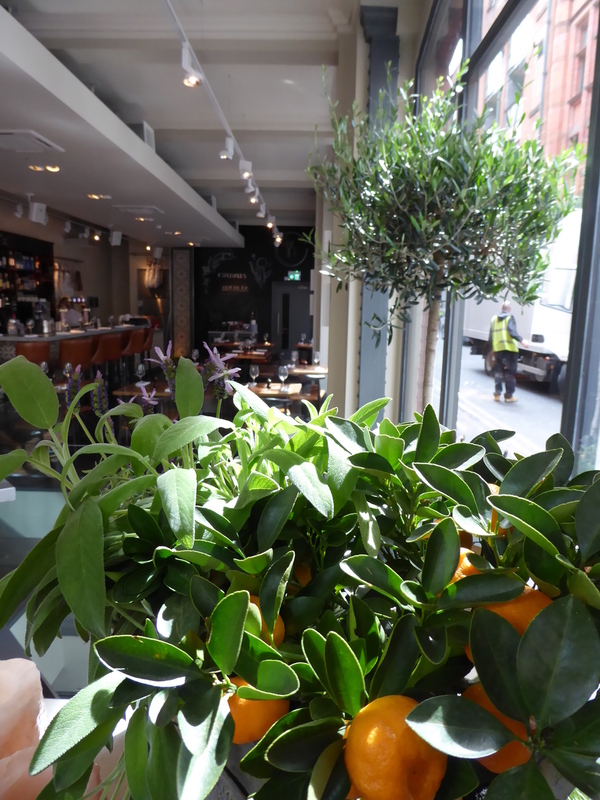 Following WDC Creative’s engagement with Tapeo, the initial stage was an on-site consultation with Manchester Planning Department and Conservation Department. A soft stripout was undertaken to reveal original features which had been completely covered over, including several lost rooms which hadn’t been used for over 30 years. Working closely with the Council Planning Team for over 2 years, we engaged in a very sensitive design process to bring back the former glory of the building, including retaining and refurbishing original cornices, basement wall tiles, terrazzo and herringbone parquet timber floors. We also replaced all the ground floor windows with replica original shaped frames. The stairwell was also opened up back to the 1956 design and glass guarding used to allow natural light to penetrate into the basement. 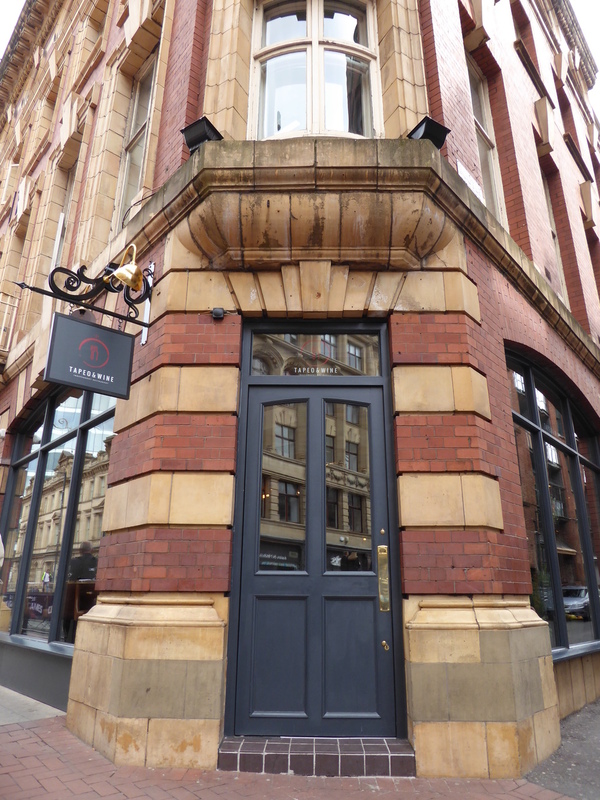 During the investigations, it was discovered that there were old lightwell positions on Deansgate. 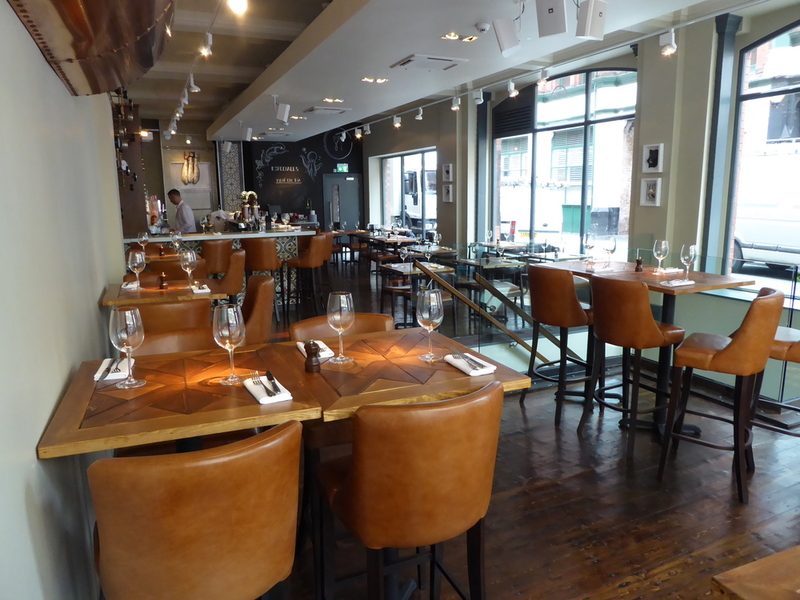 Whilst the glass blocks were long gone, opening up these spaces gained extra space to the basement area, one of which allowing for the private dining experience room. The original kitchen for the whole building was also in the basement, as evidenced by old duct work, burns in the terrazzo flooring and on the ceiling! This was the obvious location for the new kitchen, albeit many of the original duct routes were no longer available due to historical building extensions. The extract and ventilation from the kitchen and the basement proved to be one of the toughest and most costly elements of the fit-out. A dumb waiter was also installed. 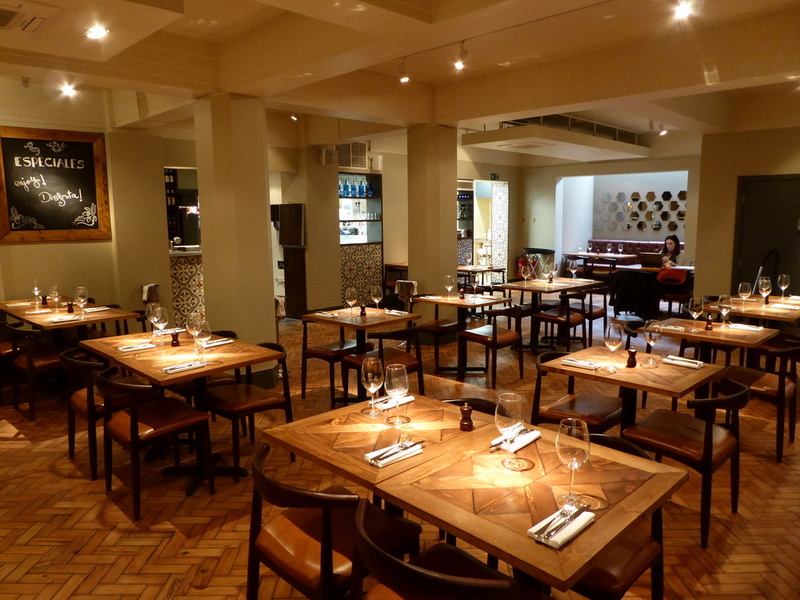 Our client was keen to introduce a genuine Spanish Taverna feel to the restaurant, which incorporated hand-made tiles and furniture commissioned and made in Spain, which added to the unique design. The track and spot lighting is dimmable which further enhances the ambience of spaces. 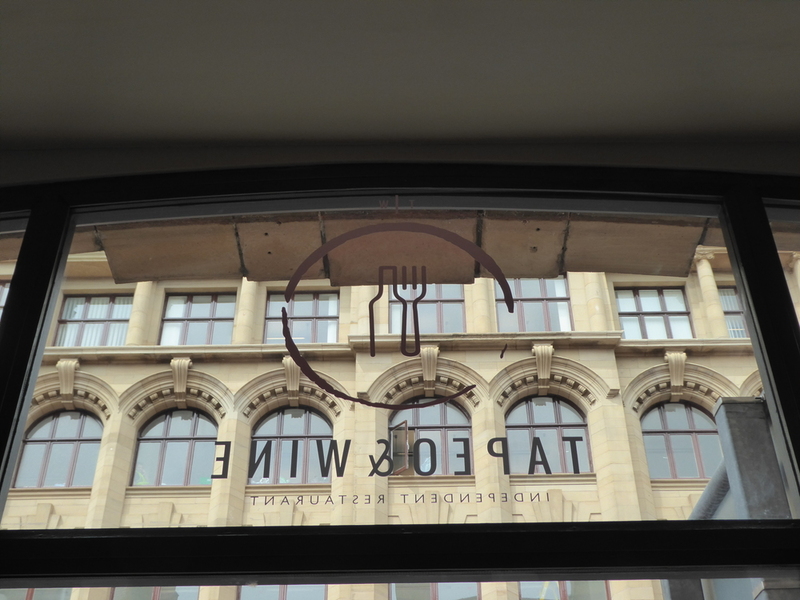 You can find Tapeo & Wine at their website, or alternatively on Facebook and Twitter.